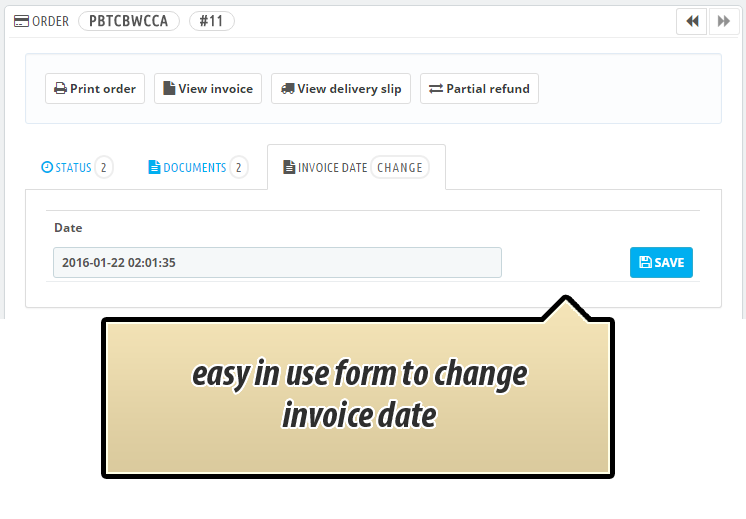 This PrestaShop addon allows to define invoice issue date, so we can change the date that will appear on generated pdf invoice file. 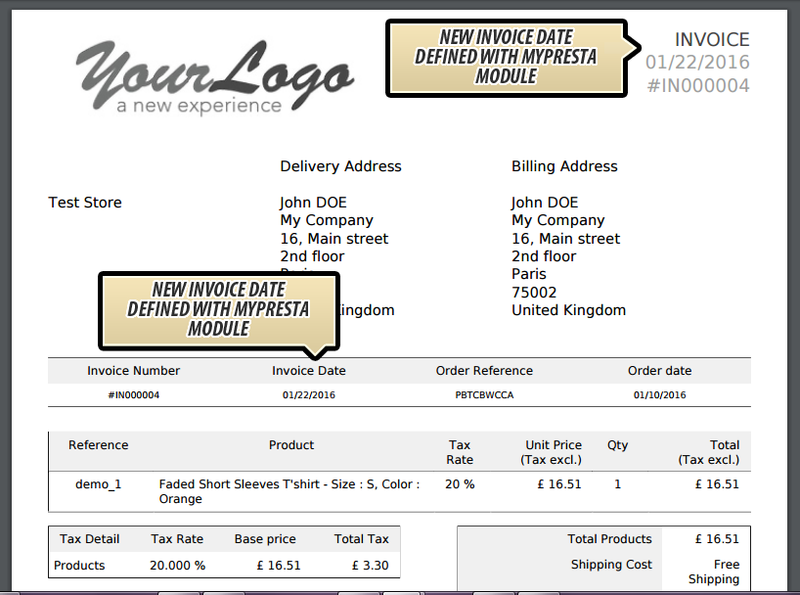 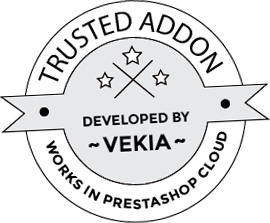 By default PrestaShop generates invoice with current date. 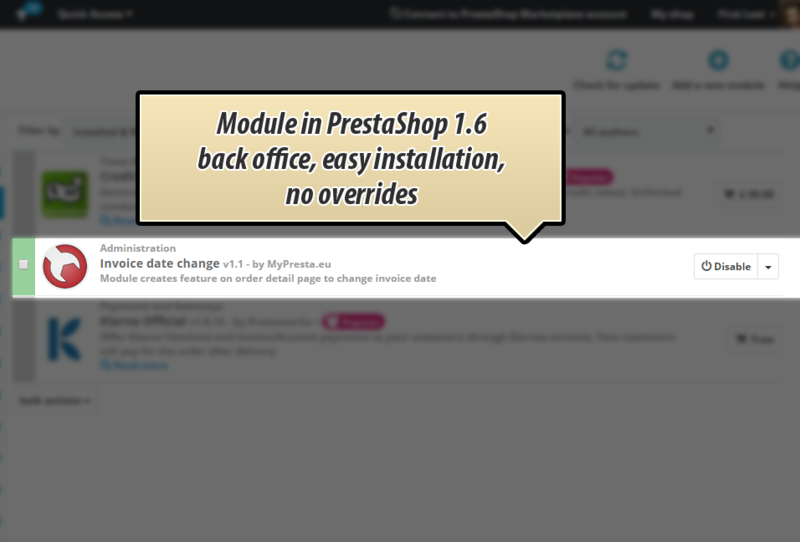 Sometimes we have to use different date - so with this module you can do it easily.